This vintage wheeled medical trolley would be great in a bathroom or as a side table. 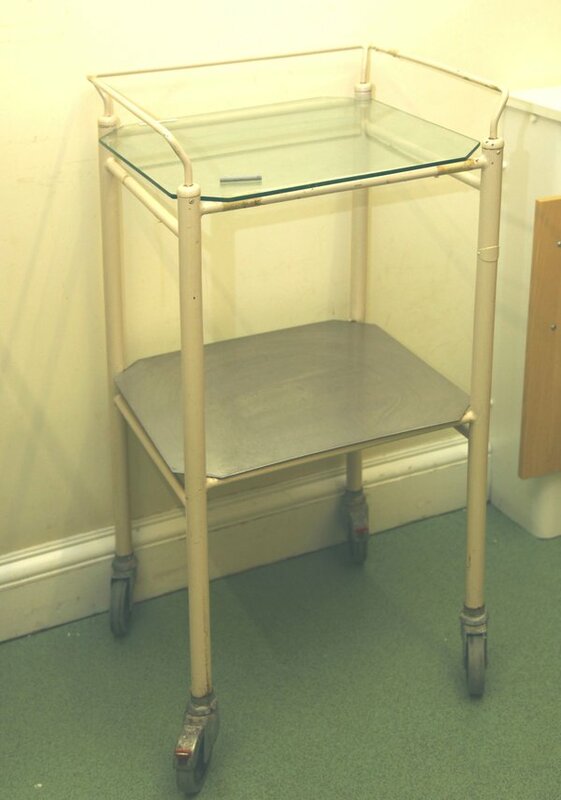 Would make an excellent drinks trolley - medication any one? If this item is sold please tell us! Occasionally, listings can remain on our website even when sold, if the owner forgets to tell us. 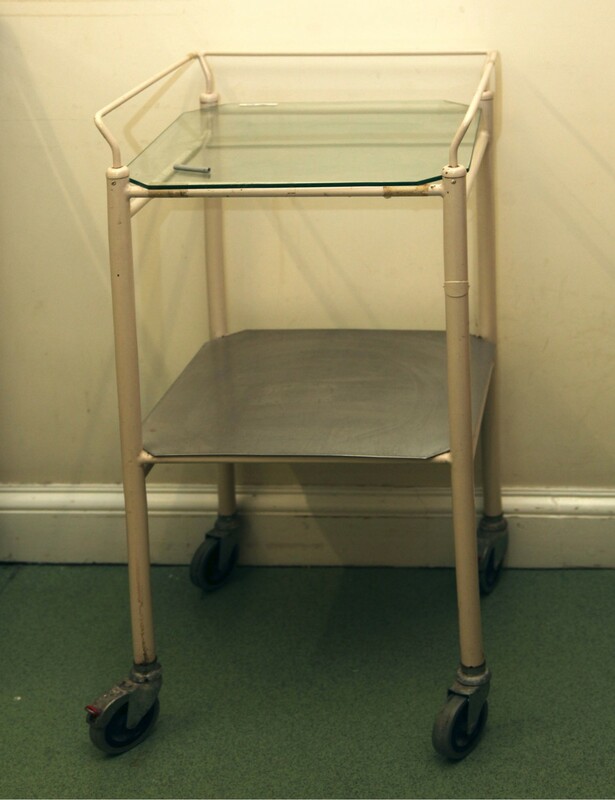 If you have been in contact with the owner and know this item is sold, then please use the form below to tell us.